Why would he walk around with the nose still on his neck? If I had been assaulted, got bleach thrown on me, I would take the nose off my neck immediately. Something is amiss. 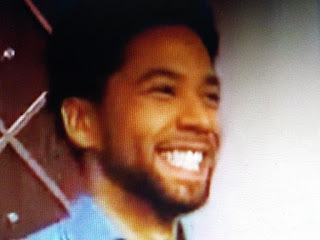 NY Post reports Detectives have recovered more surveillance footage of “Empire” actor Jussie Smollett walking in downtown Chicago before and after he says he was attacked by two masked men, including video of him arriving home with a rope around his neck, but they’re still searching for footage of the attack, a police spokesman said Thursday.